Like people, pets may experience occasional illnesses that result in troubling symptoms and the distress in their owners. Whether it is a simple respiratory infection or a more serious condition, you want experienced care and effective treatment for your animal companion. At Cats & Dogs Animal Hospital in Long Beach, CA, we offer care for pet illness and emergency pet care. Veterinarians see a number of common canine health problems regularly. These include respiratory infections, ear infections, internal parasites, flea infestations, skin rashes, stomach upsets, and diarrhea. Cats may experience health problems such as upper respiratory infections, bladder stones, ringworm, internal parasites or ear infections. These issues can be quickly resolved with antibiotics or other medications from your veterinarian in Long Beach. 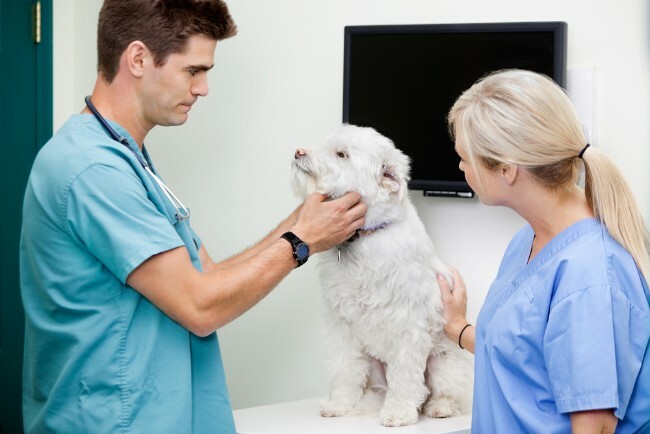 Your Long Beach veterinarian has experience in treating common conditions like diabetes, heart disease, kidney disorders, liver problems and orthopedic issues, If your pet has a skin infection or allergy reaction, the vet can help to determine the source of the problem and provide appropriate treatment to eliminate symptoms. Problems such as digestive upsets or urinary tract infections can be treated with prescription medications. Sneezing, coughing, runny nose and fever are common symptoms of respiratory infections that should be seen by your veterinarian in Long Beach. Vomiting, diarrhea or constipation that lasts more than a day should prompt a visit to the vet. Having bathroom “accidents” in the house or outside the litter box should also prompt veterinary advice. Lethargy or signs of depression is a sign that something is wrong, and your vet should be consulted. Pawing at the ears, eye discharge or chronic itching and hair loss should trigger a call to the vet for an appointment. Breathing problems, signs of pain or unexplained weight loss are also causes for a visit to your vet. 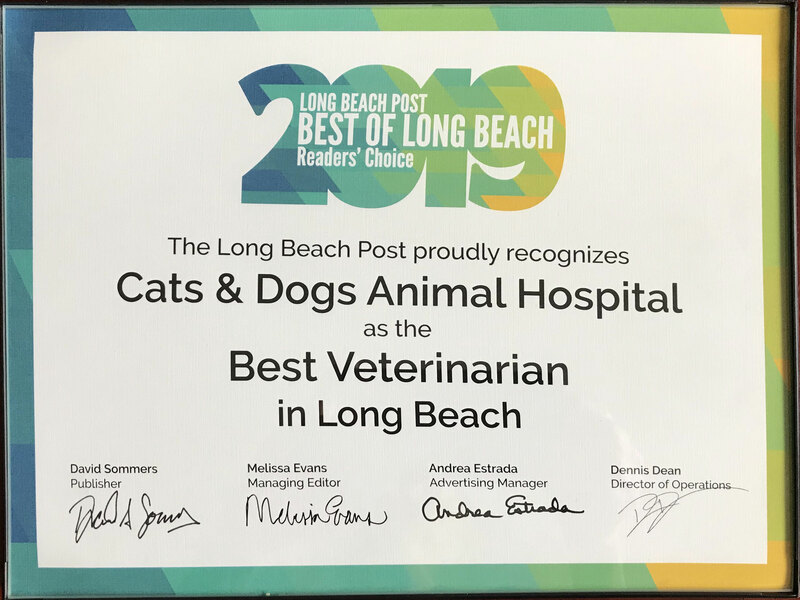 The veterinarians and staff at Cats & Dogs Animal Hospital are dedicated to providing superior care for their patients in Long Beach, CA and nearby communities. We also care for birds and exotic animals. Ask us about our emergency care, mobile services, and veterinary acupuncture therapy. Call Cats & Dogs Animal Hospital today at 562-439-4228 for an appointment to have your pet receives proper treatment of common pet illnesses.